When I shared with my friend the other day that I wanted to go out Friday night so I could wear my new dress, her response was not one I expected to hear. With a deadly serious expression on her face, she responded by asking “Has it come to a point where you need an intervention? 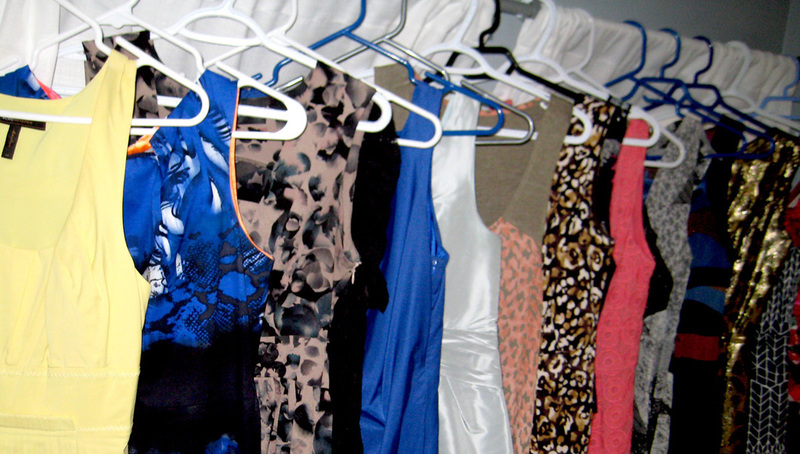 This dress obsession is WAY out of control”. My closest friends, family and well anyone that pretty much knows me, can attest to the fact that I LOVE buying and wearing dresses. There is just something so easy and comfortable about them that it has become quite an addiction finding new styles and patterns to wear. I made it my mission this week to travel around town to share with you my favourite dress shops in the city. Shopping as research? Sounds like fun to me! I’ve decided to only post about my 4 favourite spots based on the North, South, East and West ends of town. Tucked away on a quiet stretch of Bathurst Street just south of Bloor is my favourite north-end shop, Trove. Just like the store signs says, this shop is filled with unexpected fashion finds. When you first enter the store, you will notice a great selection of bags and footwear featuring brands such as Matt and Nat and Fly London. I have a little obsession with Matt and Nat bags which is how I first ended up finding this hidden gem of a store. However, when I found out they carry dress brands such as Yumi, Vero Moda and Knitted Dove, I think I was in love (and I knew my wallet was in trouble). Trove is a fantastic boutique with very reasonable dress prices (I’d say on average dresses are priced between $80 and $150). The staff are super friendly and helpful and you can even get a free stylist service in-store. 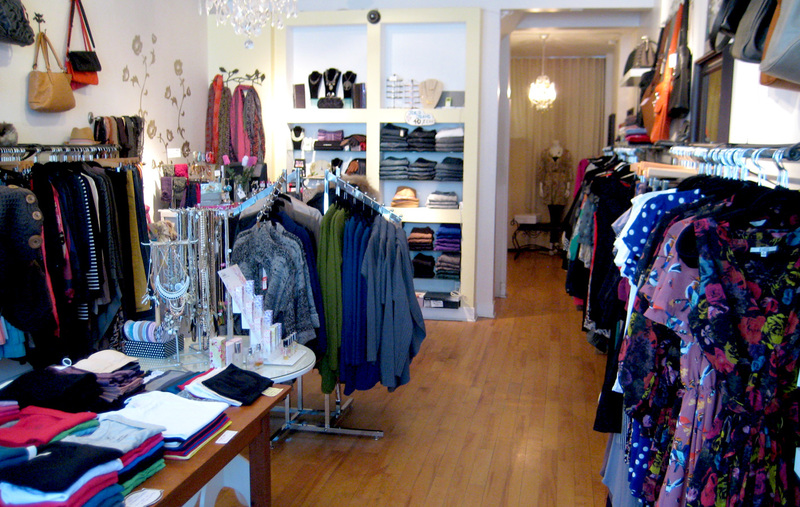 My go-to dress shop in the East End is a little boutique called Social Butterfly on the Danforth. I’ve been going to this shop for years and it never disappoints. 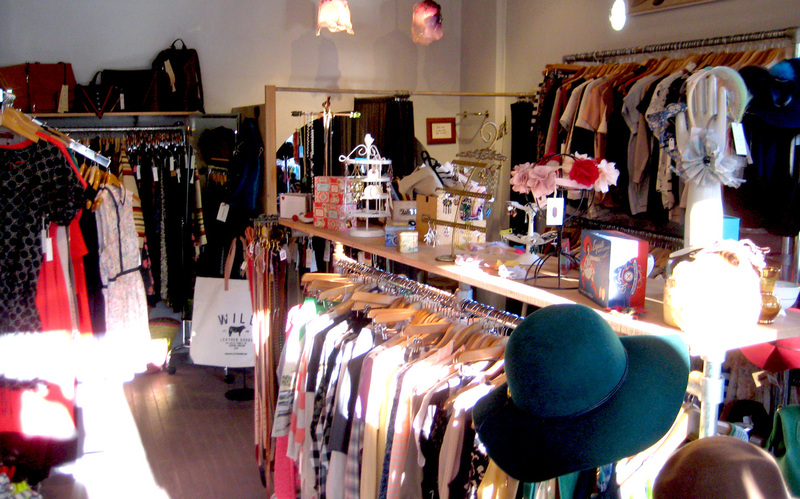 This store has a great collection of both casual and fancy dresses and carries brands such as Kensie and DEPT. However, I can’t help but try on all the funky hats that line the walls. Dress prices are also very reasonable and they continually get new stock in. You definitely have to keep going back to locate those great finds – because if you don’t, I probably will. 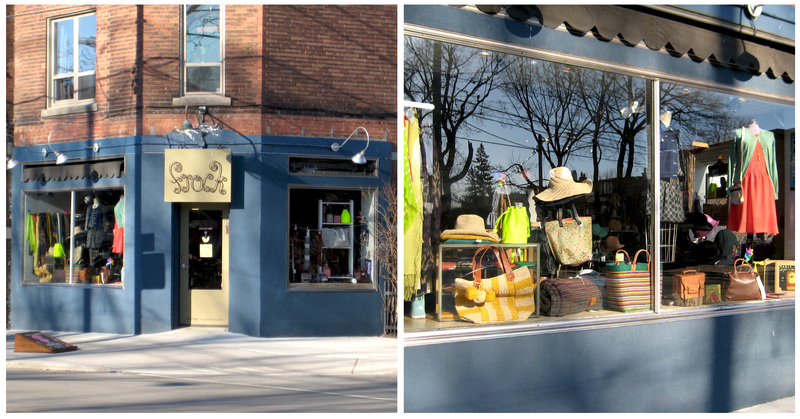 On Lower Roncesvalles is my favourite west-end boutique, Frock. I have to give this store credit – it was the only store I managed to purchase something from while doing my ‘research’, even though I told myself I wasn’t to buy anything. However, I couldn’t resist picking up the most adorable dress by Gentle Fawn while I was there (the dress I was so eager to wear this weekend). Other than Gentle Fawn, frock has a great selection of dresses from Darling, Knitted Dove and they carry my favourite bags – Matt and Nat. The store front window is always adorable, and I tend to always stop by and look even when the store is closed (which is probably good for my wallet). 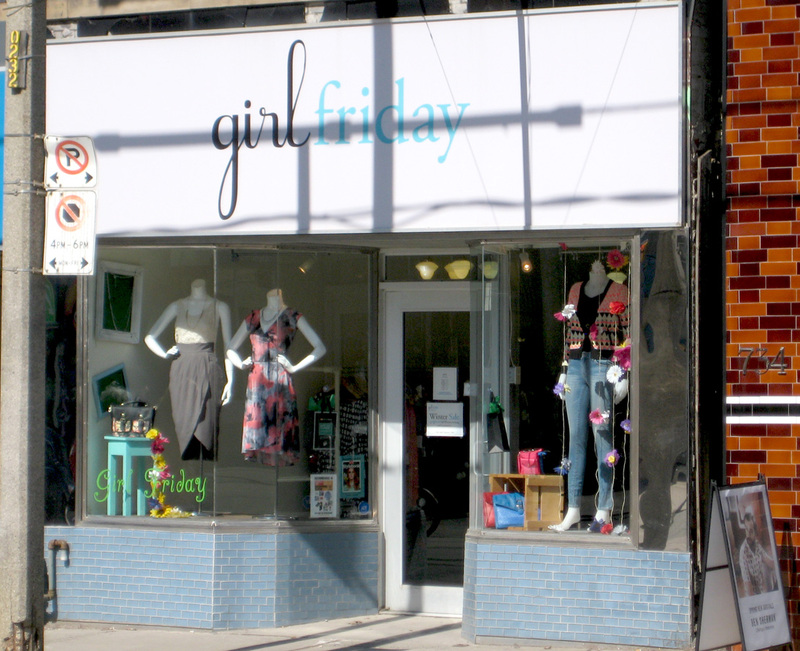 Last on my list of favourite dress shops in the city (but definitely not least), is Girl Friday. 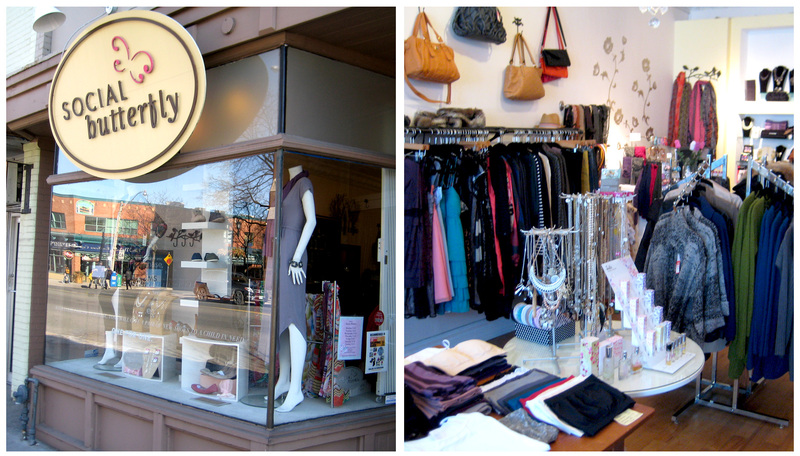 This is my go-to dress store (but that is potentially due to the fact that it is only a few blocks from where I live). It is very rare that I walk out of this store without a bag in hand (even if I don’t purchase a dress, I manage to leave with flip flops. They sell really great flip flops). While Girl Friday does sell great brands such as Michael Kors, Gentle Fawn, Fever, Kersh and Darling, they also manufacture their own garments under the Girl Friday brand. The Girl Friday dresses are quite adorable and you can special order them too. Potential bridesmaids dresses? Truthfully, I could probably write about a dozen or more other shops in the city, but I feel that this is a great start. 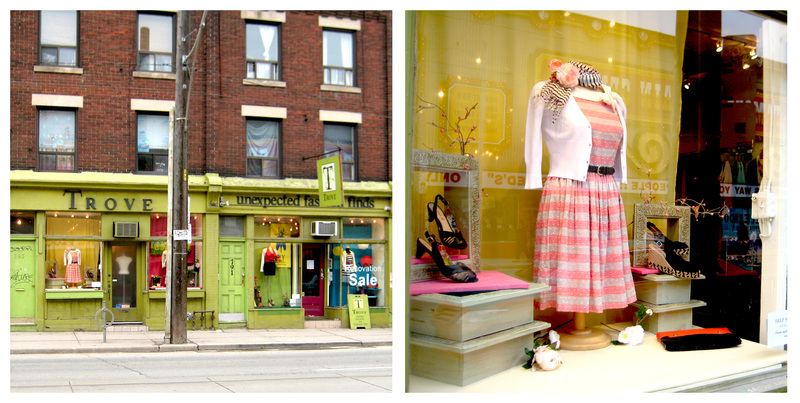 Queen West in between Bathurst and Ossington is a great strip containing MANY fabulous dress shops. 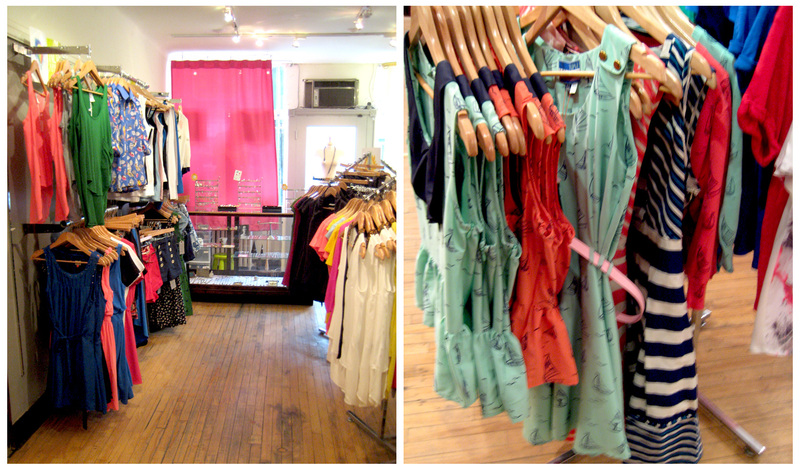 If you walk into all the stores and don’t try anything on – that would be a really sad day (in my books at least).